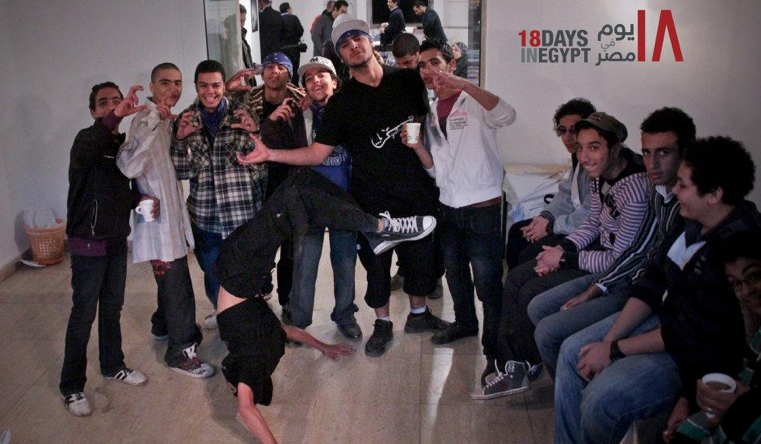 The run up to this week’s anniversary saw the launch of the website for 18 Days in Egypt – the collaborative online documentary project about the Egyptian Revolution announced early last year (Posts Sept 11, Nov 11). 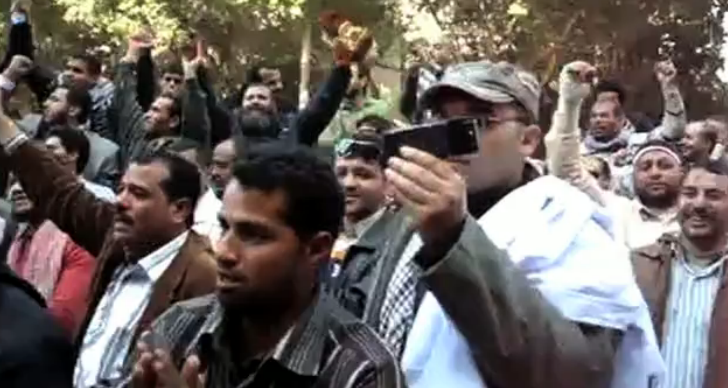 I recently talked to 18 Days co-creator Jigar Mehta for CollabDocs about how he’s approaching this work-in-progress which seeks to tell the story of the uprising through the media produced by those those who were there. Supported by an award from the Tribeca New Media Fund, the first stage of the project has been about creating an architecture that allows contribution. Mehta has spent a lot of time the past few months in Copenhagen developing GroupStre.am, a platform for collaborative storytelling, which enables people to tell the story of a particular moment or incident by drawing together their own content from social media accounts using public APIs, adding more context or commentary if desired. The platform looks neat, and group storytelling is intrinsic to the proposition. 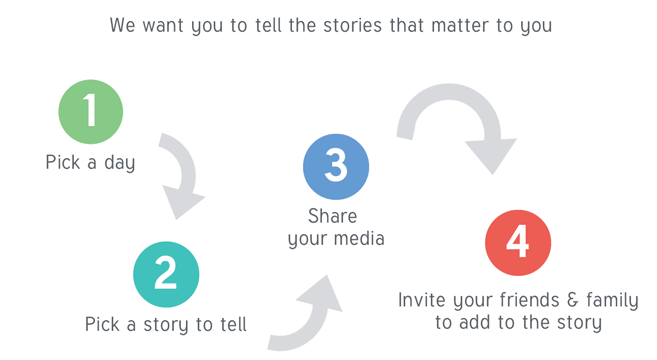 In any story you file you are asked who was there with you, and those people will be alerted via their social media accounts (assuming they have them), and can contribute too. As a journalist, Mehta is excited about the potential of this collective approach, both for its story value but also as a means of peer authentication. 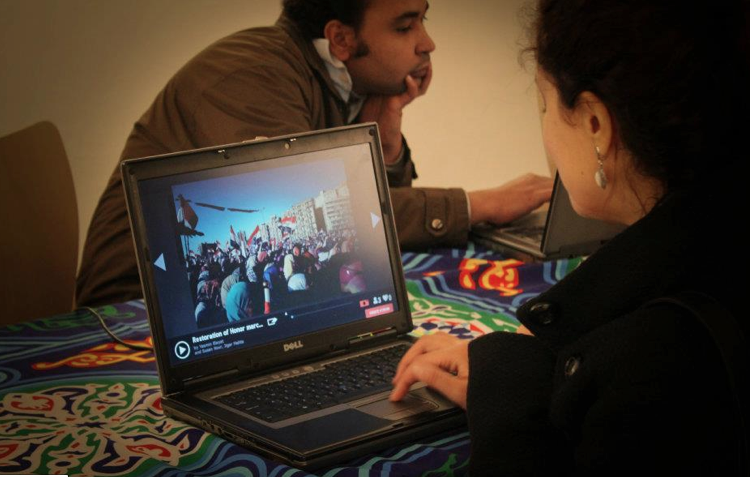 With web connectivity and access in Egypt patchy, content gathering online is going to be supplemented by a big face-to-face campaign, and local journalists are being recruited on fellowships to work with eyewitnesses in person and host “upload parties” in Cairo and, budget allowing, beyond. These in-person meetings will also allow for important conversations around the implications – for legality, safety, privacy – of publishing content in what continues to be a volatile political situation. It’s still early days for 18Days. What you can see on the Beta site are some of the stories, that they call streams, including protesters’ humorous signs and women chanting for freedom – modest but significant documents which wouldn’t have been brought together without the 18 days content gathering effort to date. But these are just the beginning. 18 Days is an important, ambitious, multi-facetted undertaking which should offer lots of insights for storytelling in the context of social media. It also involves considerable ethical, aesthetic and logistical challenges. What constitutes informed consent in a volatile political situation? Who/what gets excluded looking at such events through the lens of social media? How robust is content stored on open platforms; how will it be accessible in the future? And what’s the relationship between documenting and documentary in such a project? 18 days is addressing these questions in practice, while playing an important role in reflecting a major story of our time. It’s going to be very interesting to see how the project develops. Many thanks to Jigar Mehta for the interview which you call read in full here. Support the Kickstarter campaign to fund the fellowships here.